The myth of Demeter and Persephone is such a rich story to retell, a task taken up by other poets such as Louise Gluck, Alicia Ostriker, Rita Dove, and others. Talk about your interests in myth and why the Homeric Hymn to Demeter was particularly evocative and inspirational to your work. Although I knew that poets have explored the Persephone and Demeter myth for centuries, it was the story to which I kept returning when I sat down to transform my grief about my daughter’s illness into poems. The use of myth in literature has always fascinated me. 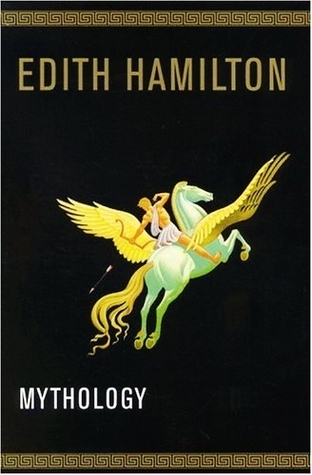 When I was a child, Edith Hamilton’s Mythology was a crucial book for the development of my imagination. In high school, The Iliad and The Odyssey were two of my favorite texts, and as an undergraduate, one of my first classes was a comparative literature course devoted to a semester long exploration of James Joyce’s Ulysses and Literary Theory. Louise Gluck, my favorite living poet, used the Persephone and Demeter Myth to great effect in Averno. The power of the complex and all-consuming love depicted in the myth is universal. Gluck, Rita Dove, another influence (Thomas & Beulah was the model for my undergraduate thesis), and Laurie Sheck all wrote full-length collections using the Persephone & Demeter myth within a few years of each other. Gluck’s Averno, Sheck’s The Willow Grove, and Dove’s Mother Love were all seminal collections for me and although I did not go back to read them when I decided to write my series, I know that they inform the poems in the collection because of the impact they had on me in my twenties before I became a mother and felt the power of the myth even more strongly. All three include Persephone’s sexuality as a central component of their retelling of the story. As a feminist and a reader, I am interested in that part of the myth, but it is not one that I chose to tackle directly in my appropriation. I focus on Demeter’s suffering in response to Persephone’s suffering as well as the “loss” of her life as she knew it, which includes her loss of freedom. In your poems “My Herculaneum” and “The Tulips are Dying” and others, you bury the turn and revelation halfway through the poem. In these poems it’s the revelation of grief that turns. Can you talk about your sense of the placement and power of the poetic turn? That is a very interesting observation. I was not aware of how often the turn resides in the middle of the poems in Persephone’s Ransom. I find it particularly interesting given the prevailing notion, in criticism, that the turn is the center or the soul of the poem. When I was reading about mid-course turns, I discovered that most often they represent drastic or sharp shifts in meaning. I believe that most of the turns in my chapbook are “retrospective-prospective” turns that examine the past and the present/future. I believe that this was the unconscious choice that I made while writing most of the poems in this series because the before and the after that I am describing in the poems are so jarringly different. There is an urgency, a need to get to the heart of the matter—on which all of these poems rest—the devastating recognition that nothing is ever going to be the same again. These poems, which were written in a great burst over one month in the summer of 2008, while riding in the back seat of my daughter’s “bus” on the way to pick her up from her year-round school, are essentially elegies for the loss of the “normal” lives that I knew neither of us would be able to have. Although no one literally dies in the pages of Persephone’s Ransom, there are hundreds of figurative deaths. To me, the turn is always a crucial part of the poem, no matter where it is placed, since it is where the most important ideas or revelations appear. Your chapbook and forthcoming book address via myth the emotional impact autism has on a family. Were there other literary sources that enabled you to consider how a writer might make art of grief? My beliefs on the power of lyric poetry are similar to those of Gregory Orr, as he presents them in the critical work Poetry as Survival. Lyric poetry contains an abiding power to transform deep experience into something transcendent. Some of the most important books for me have been works of art and literature that center of the exploration of great emotion, including deep suffering. When I was a New Jersey Scholar in the summer program at The Lawrenceville School, my poetry teacher, Clayton Marsh, sparked a love of Keats that has continued to this day. When I was in college, my mentor, Arnold Weinstein, a great humanist and scholar, taught all my favorite classes. The first class I took with him was called, “Exile and the Conditions of Writing.” The entire course focused on poets who were literally or figuratively exiled. We read poets including Tu Fu, Dickinson, Ovid, Nelly Sachs and Paul Celan, Baudelaire, and Anna Akhmatova. What I love most about Dickinson’s poetry is that she plumbs the great depths of human emotion in all of its authentic forms. Nothing is taboo or off limits; every emotion is given its due. That course was a master class in the power of poetry to give voice to deep suffering. Some of the modernist novels of Woolf, Faulkner, and Jean Rhys have influenced me a great deal. The plays of Sophocles and Ibsen, especially Antigone and Little Eyolf, also informed my idea of how the topic of suffering can be transformed into literature. The contemporary poets who influenced Persephone’s Ransom and my project of transforming my grief into something more are: Mary Jo Bang (particularly her book Elegy), Marie Howe (especially What the Living Do), and Emily Fragos (Little Savage), as well as the work of Jane Kenyon, Lucille Clifton, Sharon Olds, and Sylvia Plath. Perhaps, the most powerful example I know of a writer devoted to transforming his grief into song is Miklos Radnoti. In 1946, when his wife found his body, which had been exhumed from a mass grave, she retrieved a notebook that contained all of the poems he wrote during his imprisonment in a work camp in Yugoslavia. Surviving prisoners smuggled copies of his poems out of the various camps in which he was interned, but the five he wrote in his last days of the death march before he was shot were unknown, until his wife found them in his pocket. 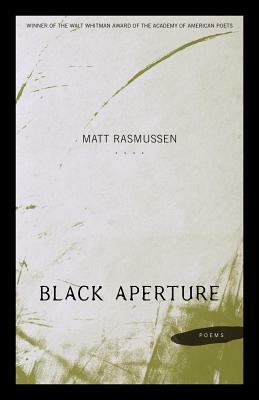 Another book that I think is a masterpiece of transforming pain into poetry is Black Aperture by Matt Rasmussen. It won the Walt Whitman Award from The Academy of American Poetry and was published after Persephone’s Ransom, so it did not influence my collection but I teach it in my classes. I think that it’s a very brave book. It looks at a bother’s tragic suicide from different perspectives, and it grapples with how one goes on living after the unthinkable has occurred. As the philosopher Heidegger wrote, “The Terrible has already happened.” I have read excerpts from Edward Hirsch’s long poem Gabriel about the death of his only child, but I am planning to teach it to my students this autumn. I have always admired his poetry, and I have read several reviews of the book. In the interview on NPR, he said something that resonated with me: “One of the things that happens to everyone who is grief-stricken . . . is there comes a time when everyone else just wants you to get over it, but of course you don’t get over it. You get stronger; you try and live on; you endure; you change; but you don’t get over it. You carry it with you.” This is something that I experienced as well. I suspect that only people who are willing to authentically mourn are able to prevail. Like Louise Gluck’s The Wild Iris, flowers in Persephone’s Ransom speak in ways that humans in the collection cannot speak. Talk about the use of flowers as a trope in your poetry. Like Gluck, who has said that she was shy and withdrawn from her peers as a child and that she regarded Blake and Keats as her friends, I felt the same way about writers I admired. I was a year and a half younger than everyone else in my grade, and my social skills had not caught up with my reading ability. I spent most of my childhood with family or alone reading books. 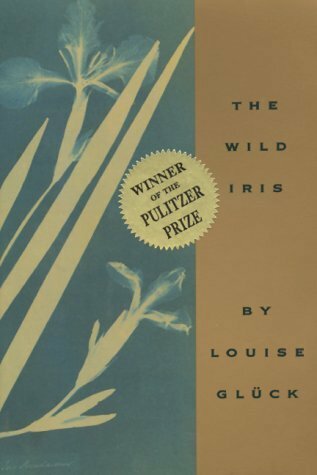 My mother had a garden she loved and tended that I always admired, but it wasn’t until I read The Wild Iris that I wanted to plant my own garden. Having lived in Providence and New York City most of my adult life, this posed a challenge but for two years, I lived in a house in Central Massachusetts. It was there, for the year and a half before I became pregnant, that I planted my garden. I visited Emily Dickinson’s home and toured her gardens that are restored to include all of the flowers she planted in her lifetime. I bought her herbarium and poured over it as well as a book on flowers and their meanings. Tulips have always been my favorite flower and I planted hundreds of bulbs in the autumn before my pregnancy. So, those flowers and the loss of them when I returned to the city before my daughter was born were inextricably linked to all of the losses surrounding my daughter’s illness. Demeter’s long depression during which she wanted to stop the beauty of the world by turning it to winter is something that resonated with me. I am always struck by natural beauty, during times of tragedy, and how shocking and jarring that disconnect is. It seems to make the pain all the more palpable. When people recount their escapes on 9/11, many of them talk about the stunning beauty of the weather that day. In almost all of the accounts I have read about life in Auschwitz, the survivors mention the shocking natural beauty of the place. Something in us wants life, wants beauty so much that when we are propelled into the tragic, we cannot connect the two. The life cycle of nature is something to which I have been attuned since I was a small child. Growing up in the suburbs, I often read under a special crabapple tree that has long since been cut down to make first a soccer field and then a lacrosse field. My mother, a great seasonal decorator, marked the months and seasons with care. Flowers in my chapbook represent all the beauty of the natural world as well as everything constant, unchanging, permanent in the uncertainty of our great cosmos. They also represent God’s presence as well as the power of the human soul to look in the face of great suffering and great pain and choose life, to choose beauty. Their seeming fragility and delicacy—their improbability to survive the elements is a constant source of inspiration to me. The snowdrops in the fields, the bulbs that emerge from the ground in spring, even after the most brutal winter, mirror the human will to continue against adversity. Thoreau wrote, “the most attractive thing about flowers is their beautiful reserve.” In cultures throughout the world, flowers represent love and my daughter loves looking at them and even labeling them and their colors. One of the things for which I am most grateful, despite my daughter’s autism is that she is able to show love and affection for me, my family, and for her teachers. She is deeply intuitive, and she knows who loves her and who does not. With people she doesn’t love, she is very reserved. The use of flowers in the collection began with the myth—Persephone was picking flowers when she was abducted. I then began thinking of the flowers as the loss of innocence. The way Demeter turns on the flowers in her grief and anger represents the rejection of life in the initial stages of shock and trauma. The autumn has always been my most creative season for writing poetry so I am working on several new pieces for both a chapbook and my second collection. I am putting my syllabus together and reading the new collections by Mary Ruefle and Louise Gluck. Other literature and art are always my greatest sources of inspiration. I just saw Cate Blanchet in Jean Genet’s The Maids and I have been seeing many dance performances this summer. Yesterday, a friend and I saw a fantastic exhibit called “Strong Language” by Mel Bochner at the Jewish Museum. It’s particularly fascinating for people interested in language because most of the paintings in the show consist entirely of words—a list of synonyms compiled from Roget’s Thesaurus. One of my students, Gillian Cummings, shared a draft of her forthcoming chapbook that is based on Ophelia. The power of her language and the homage to, as well as the departure from, Shakespeare deeply impressed me. I cannot wait for it to be published and to reach its audience. I believe, as Mary Oliver instructs in her book, A Poetry Handbook, that one only becomes a better poet by being a copious reader, especially a reader of other poetry. I am also listening to poets reading their own work. Thanks to The Poetry Foundation, poets.org, and YouTube, one has access to thousands of recorded poems. My uncle has been listening to Eliot on his iPod while walking in the countryside of Southwest France, where he lives. After he mentioned that to me, I started listening to Eliot again, and it is truly mesmerizing. Listening to poets read can be even more useful than reading. It helps to train the ear to focus on the language, each word. During the summer, I taught books by Gluck, Szybist, Fragos, Merwin, Seshadri, and Rasmussen, and we all wrote a poem inspired by the collections we were reading. The fascinating thing is that although we could all see the influence of the target poet on our work, we were still writing our own voice. The students came in with attributions, “after W.S. Merwin” and by the end of class, more often than not, we had voted to remove those attributions. It is always exciting to see growth and change in the work of one’s students and colleagues as well as in one’s own. I am lucky to be part of a weekly workshop with some of my colleagues at The Hudson Valley Writers’ Center. Their work inspires me and their feedback has been invaluable to the revision of my new work. Your chapbook credo: Good things come in small packages. No book is more beautiful than a handmade letterpress chapbook. Number of chapbooks you own: I own about 70 chapbooks. Most of them were published by Slapering Hol Press (designed by the amazing Ed Reyher of Swamp Press in Northfield, Massachusetts) where I have been co-editor since January 2014. Other chapbooks in my collection date from my first semester in college; these were all published by Burning Deck Press in Providence, founded and run by Rosemarie & Keith Waldrop. 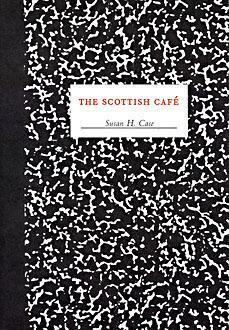 I had never heard of a chapbook before I was enrolled in my first poetry workshop at Brown. The teacher, a graduate student in the MFA program, put the chapbook My Name Happens Also by Elizabeth Robinson on the syllabus. I was stunned when I went to the bookstore to buy it and saw the artistry of the design of these limited edition collections. Many of my chapbooks are signed copies of those written by friends and students. Still others were purchased at AWP, readings, and the annual CUNY chapbook fair. Although I sometimes have to sell books at The Strand or give books away to friends because I live in an apartment, I have never parted with any of my chapbooks. Number of chapbooks you’ve read: I think that I’ve read over one hundred published chapbooks and hundreds of chapbook manuscripts. Ways you promote and serve other chapbook poets: I am co-editor of Slapering Hol Press, the small press imprint of The Hudson Valley Writers’ Center, a chapbook publisher; we publish two chapbooks per year and host readings for emerging poets. One chapbook is selected through a national competition for poets who have yet to publish a chapbook or a full-length collection. The other chapbook is a “Conversation” between an established woman poet and an emerging woman poet chosen by the former. I also help emerging poets and students edit, revise, and order their chapbook manuscripts. So far, I have written blurbs for two chapbook poets and have been asked to write blurbs for two more. Where you spend your chapbook earnings: I use my chapbook earnings to buy more of my chapbooks to sell at readings, and whatever is left—I spend on entry fees for book awards. Your chapbook wish: I am currently working on collaboration with the amazing self-taught photographer, Arnaldo Reyes. He is from the Dominican Republic and has been my daughter’s bus driver for the past six years. His other job is delivering specialty cookies all over Brooklyn and Manhattan so he sees the people of the city—really sees them—the way Marie Howe instructs us all to do. He shows me his photographs each week and I write ekphrastic poems for the ones that speak to me. Sometimes, I see something and write a poem and then he takes a photograph that literally or figuratively matches what he believes to be the intention of the piece. 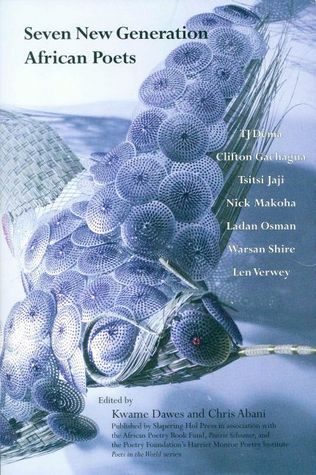 It can be difficult to get poems published beside other art forms, which seems particularly archaic in 2014, when technology and multidisciplinary art is so prevalent. I hope that we find a press for this chapbook soon. Residence: I live in New York City. Job: I teach at The Hudson Valley Writers’ Center in Sleepy Hollow. We own a beautiful restored train station and it’s a wonderful place for our community of writers of all ages, from all walks of life, to come together to help each other become better in our craft. It is a supportive environment for writers at every stage of his or her career. I love teaching poetry workshops; I feel like it’s what I was born to do. I am blessed to be working with such interesting, talented, and inspiring students. I can’t wait to read their new poems and spend two hours with them in class each week. Chapbook education: I was first introduced to the concept of chapbooks in college but my real education came from working with Margo Taft Stever and Peggy Ellsberg, my wonderful co-editors. Margo founded HVWC in 1988, and she has been supporting emerging writers since then. She began Slapering Hol Press in 1990, and while I helped her copy edit Seven New Generation African Poets box set, in collaboration with The Poetry Foundation Poets of the World Series, Prairie Schooner, and African Poetry Book Fund, she shared her vast knowledge of the importance of continuity and theme in writing and arranging a chapbook.